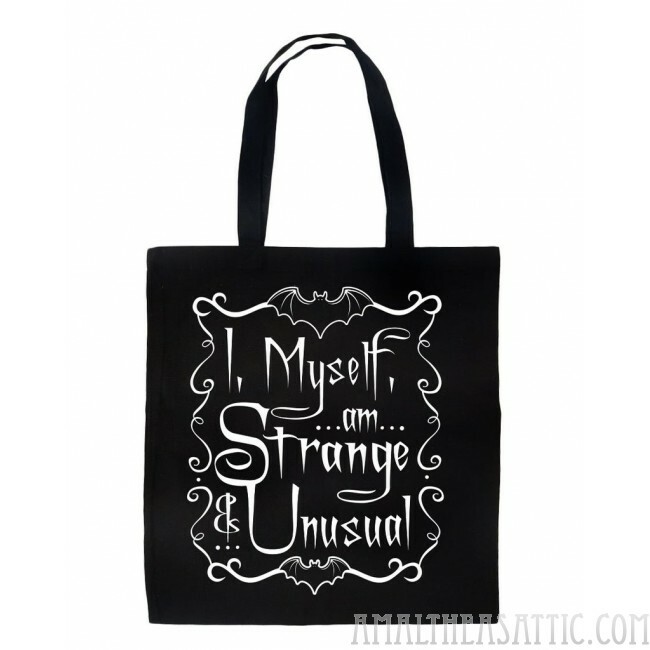 A tote bag Lydia Deetz would be proud of. She was goth before we even knew what it was and we will always love her for turning us on to everything spooky and strange. 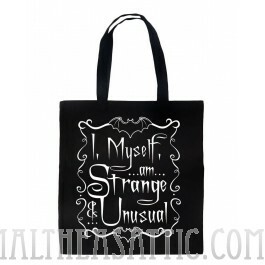 Black canvas tote bag perfect for carrying around a change of clothes, books, groceries or whatever you need in style! Self-fabric handles. One sided print with I. Myself, Am Strange & Unusual text and bat cameo border. 6 oz. canvas tote bag approx 16" x 15"